Network processor developer NetLogic Microsystems is working with leading foundry TSMC to extend their existing collaboration to include TSMC’s NEXSYS 28HP (28nm high performance) semiconductor process node. This will be used for NetLogic’s next-generation knowledge-based processors, multi-core processors and 10/40/100Gigabit PHY. As an early development partner, NetLogic is using TSMC’s 28nm node to raise networking infrastructure performance and significantly differentiating its product line from the competition.In June 2009 Netlogic bought RMI (Raza Microsystems) to add a range of high performance multicore network processors to its range. NetLogic has launched advanced product development for multiple industry-leading product lines on the TSMC 28nm node. The 28HP process offers significant speed, and power efficiency advantages over previous process nodes. In addition, NetLogic Microsystems is developing a suite of custom high-performance circuits optimized around TSMC’s 28nm node, including high-speed serial interface technology, analogue and clocking circuitry, core processing elements and other standard cells, as well as refining the design and tape-out flow for this advanced node. NetLogic Microsystems offers high-performance multi-core, multi-threaded processors, knowledge-based processors, content processors, and high-speed 10/40/100 Gigabit Ethernet PHY solutions. These market-leading products are designed into high-performance systems such as switches, routers, wireless base stations, security appliances, networked storage appliances and service gateways to significantly enhance the performance and functionality of next-generation 3G/4G mobile wireless infrastructure, data center, enterprise, metro Ethernet, edge and core infrastructure networks. As Windows 7 actually seems to be working after the debacle of Vista in the desktop market, Microsoft has launched the embedded version, but aiming mainly, again, at the Media Centre and set top box. The key is that the platform also features the latest Windows technology such as multigesture touch interfaces and context-aware applications with Windows Touch, and the ability to develop “green” solutions with smart power management APIs. As well as support for enterprise devices, STBs, CMDs and TVs, the Windows Media Centre feature will enable consumers to merge multimedia content from disparate sources, including Internet and broadcast TV, social media portals, and personal libraries of photos, music and videos, into a centralized home entertainment hub. Windows Embedded partners and customers already have plans to begin shipping products and solutions for a variety of specialized devices built on the Windows Embedded Standard 7 platform. Examples include AOpen, C-nario, DT Research Inc., Micro Industries and YCD Multimedia for digital signage; HP and Wyse Technology for thin clients; and Heber for industrial control systems. Leading audio chip maker Wolfson Microelectronics has teamed up with configurable processor IP provider Tensilica to create a low power, high definition (HD) sound platform. Combining Wolfson's world-leading mixed-signal technology and audio expertise with Tensilica's HiFi audio DSP processor cores, this licence agreement will bring HD sound to multimedia platforms, including mobile handsets, netbooks, smartbooks, digital TVs and other multimedia devices. With HD video a well-established standard in today's consumer electronics world, this partnership will set the benchmark for HD sound and address consumer demand for crystal clear audio. This is an interesting step for Wolfson more into the digital side of the business by licensing the Tensilica core - the silicon implementation and mixed signal integration will come from Wolfson with software and drivers from Tensilica. Mike Hickey, CEO of Wolfson, said, "We are delighted to be working with Tensilica and integrating their unique and high quality digital signal processing IP cores into our solutions to enhance the quality of the consumer audio experience. Including Tensilica IP in Wolfson's audio system will enable customers to maximise audio quality in multimedia products with a low power and cost efficient audio subsystem." Jack Guedj, CEO of Tensilica, said, "Wolfson is a leader in high quality and low-power mixed-signal audio and we are pleased to be at the forefront of their expansion into the digital audio realm utilising the HiFi EP Audio DSP. Tensilica will enable Wolfson to offer a best-in-class complete audio sub-system, and we look forward to further partnerships with our complementary technology offering." 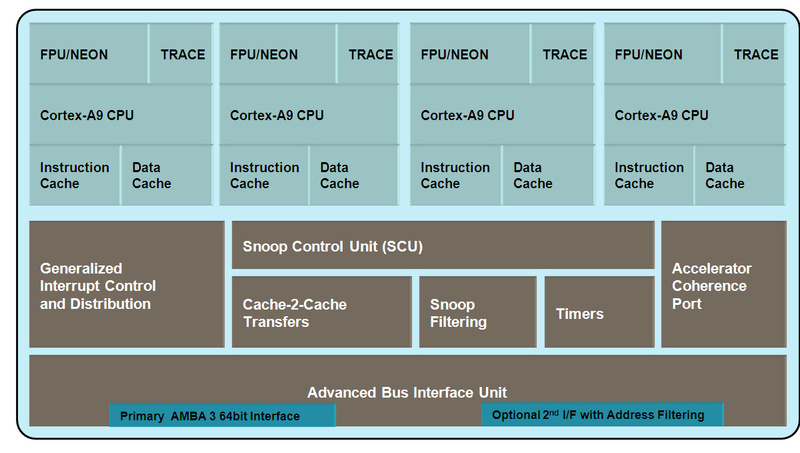 CriticalBlue is working with Freescale Semiconductor to make its Prism development environment available to support Freescale’s QorIQ multicore processor families. Software developers will be able to migrate, optimise and verify their existing software applications on Freescale’s multicore platforms based on Power Architecture technology. As communication equipment vendors migrate from single-core to multicore designs, they face the complex and time consuming task of rewriting their code to work with multiple cores. The addition of Prism support to Freescale’s QorIQ multicore ecosystem will help customers preserve the value of their legacy code while designing with new multicore platforms. The Prism tool helps eliminate guesswork by profiling the code base and suggesting which routines are best to leave in serial sequence and which ones are candidates for parallel sequencing across multiple cores. With this capability, Freescale customers are able to optimise their software code to achieve maximum hardware performance. I'm a great supporter of renewable energy and green electricity, and the SmartGrid will have to combine energy production from a variety of approaches, but Analysys Mason are pointing out that wind turbines may well cause problems for radio systems, particularly RF embedded control. Although wind turbine blades are largely made of non-conductive plastics and similar composite materials, they are large constructions and the latest designs contain metal reinforcements and conductors for lightning protection. A single turbine therefore presents a significant but very geometrically variable ‘radar cross section’ that has the potential to reflect or diffract radio propagation waves, and cause a delayed multipath component that may interfere with the original radio link signal, says the group. The more windmill stock a farm has, the more unpredictable the reflections and diffractions of radio waves become, with potentially a far greater impact than may otherwise be expected. The potential for interference is of particular concern for the utilities industry, which makes quite extensive use of scanning telemetry systems and SCADA (System Control and Data Acquisition) systems to monitor and control its infrastructure. These systems are often ‘fail-safe’ so that operations are automatically suspended if, for example, the SCADA system fails. Thus interference from wind turbines could potentially result in the shut-down of power and water supplies if serious interference is detected. A number of Analysys Mason consultants who are involved with the utilities industry are becomingly increasingly concerned about the vulnerability of one particular link type, mainly because of a lack of understanding and a lack of relevant research within the telecoms industry. The link type in question is that operating at around 460MHz, which is often used for telemetry or other SCADA applications. Within these applications the 460MHz band is often selected for particular links because the link path profile is non-line of sight, and this band permits the deployment of a diffracted path route between each link end as a design parameter. In these cases the link path loss is significantly greater than the nominal free-path loss that would otherwise exist for the line-of-sight case, and different interference design rules must be applied (as discussed below). the impact of wind turbines and farms needs more field measurements and study to quantify the interference mechanisms, particularly in situations where the basic path is diffracted. There is a sell of course - at Analysys Mason they have been studying all the publicly available material on wind turbine interference to radio propagation and have developed user-friendly computer models to evaluate and predict appropriate clearance zones around single and multiple wind turbines. GE-Satellite, a leading provider of satellite services in the Pacific, was recently chosen by NASA to provide Ku-band satellite connectivity for its ground breaking science mission to study atmospheric and environmental conditions across in the Pacific via Unmanned Aerial Vehicle (UAV). The NASA Global Hawk Pacific (GloPac) campaign, the first Earth Science mission to use the UAV for atmospheric and environmental research, demonstrates GE-23's capability to support a broad range of mobile broadband applications in the Pacific. The GE-23 satellite, ideally suited for the mission because of its dynamic coverage in the Pacific, enabled continuous communications throughout the Global Hawk's 14-hour maiden voyage. “The Global Hawk's ability to autonomously fly long distances and remain aloft for extended periods brings a new capability to the science community for measuring and observing large areas of the Earth,” said NASA. The Global Hawk payload includes an antenna to allow it to continuously transmit data and images via the GE-23 satellite. As part of the environmental research mission, scientists measured atmospheric conditions including greenhouse gases, ozone-depleting substances, aerosols, and constituents of air quality in the upper troposphere and lower stratosphere. Future missions include observations from the equator to the Arctic Circle, and west of Hawaii. “We are thrilled to be a part of the NASA Global Hawk mission and this exciting new chapter of science history,” says Andrew Jordan, President and CEO of GE-Satellite. 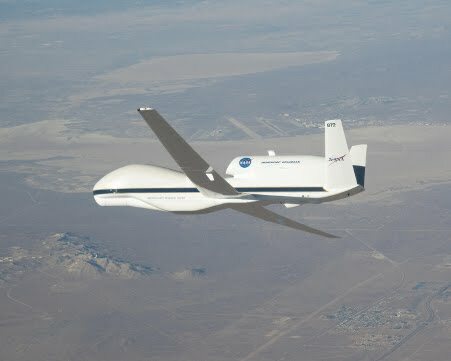 NASA has three Global Hawks, all previously used by the US Air Force, now fitted with 11 scientific instruments to conduct atmospheric research. The Hawks carry over than 400Kg of scientific gadgets, can operate at altitudes up to 65,000 feet and stay aloft for 30 hours while flying a distance of more than 12,600 miles - making the long range continuous measurements possible for the first time. TI has announced Linux kernel support for its TMS320C64x digital signal processors (DSPs) and multicore system-on-chips (SoCs) targeted for applications such as communications and mission critical infrastructure, medical diagnostics, and high-performance test and measurement. As customers move towards open source initiatives as a key element of their products, application developers can benefit from the availability of Linux on TI’s DSPs by having less software to develop, and focusing more on differentiating features and software in their applications. TI’s C64x Linux effort is a community collaboration with considerable support already in place. As part of the effort to port the Linux kernel to the C64x ISA, Code Sourcery is developing a complete tool chain including support for the GNU Compiler Collection (GCC) and the GNU Project Debugger (GDB). The project’s goal is that both the C64x Linux kernel and the GCC / GDB tools will be accepted by kernel.org and the Free Software Foundation, making both fully supported as open source community projects. In addition, TI will sponsor a Linux-C64x portal and a community-oriented distribution program to facilitate communication and development around this technology. ENEA is making its open source, scalable multicore communications stack available to the C64x Linux community, as well as offering advanced multicore platform software and debugging tools. Nash Technologies is implementing features ranging from advanced chip level functions, such as multicore interprocessor communications, to complete LTE protocols. PolyCore Software, also an early community participant, is implementing the MCAPI multicore communications framework. Product support for the C64x Linux kernel will be available for TI’s TMS320C6472, TMS320C6474, TMS320C6455 and TMS320C6457 DSP processors in 3Q10. Dust Networks is an intersting company as a leading supplier of wireless sensor networks (WSN). It is using the low power ARM Cortex-M3 processor for a new family of system-on-chips (SoCs) that include an on-chip power amplifier (PA) that will be the basis for a variety of upcoming standards-based WSN products, including IEC 62591 (WirelessHART), 6LOWPAN (IP), and Zigbee PRO products. This is key for the development of the SmartGrid. A 32-bit ARM Cortex-M3 processor and rich interfaces enable a powerful computing platform while conserving power. The world's lowest power IEEE 802.15.4 radio: a new benchmark is set, with a mere 3 mA transmit at 0 dBm and 3 mA receive current, delivering 5-10 times the battery life of competing technologies, and further expanding the applicability of energy harvesting power sources. Extended range capabilities, with up to 8 dBm output power on-chip PA and an optional external power amplifier. The industry's first IEEE 802.15.4E-ready product, incorporating the emerging standard for time synchronization and channel hopping, while providing legacy support for 802.15.4-2006. "Our new SoCs are geared to deliver the highest performance while running at a fraction of the power of competing silicon," said Dr. Kris Pister, Chief Technologist at Dust Networks. 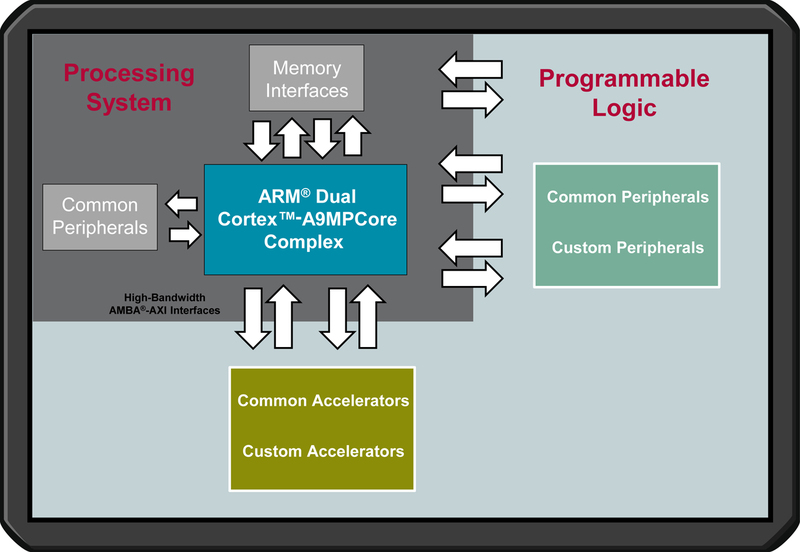 "In selecting the ARM Cortex-M3 processor for our SoC, we did not have to trade-off performance for power. Dust Networks new IEEE 802.15.4 SoCs will require less than one-tenth of the energy per operation of comparable SoCs." The level of systems integration in the SoCs is very high, including on-chip power amplifier, DC-to-DC converter, 10 bit ADC and a built in temperature sensor. With configurations up to 512kB of flash and 72kB of RAM, these SoCs will have both the highest computational horsepower of any 802.15.4 chip on the market, and the lowest power consumption. In doze mode, with full processor state and RAM retention, current consumption is under 1uA. "Low power radios such as IEEE 802.15.4 and wireless mesh networking, epitomized by Dust Networks' TSMP protocol and its "Smart Dust" roots, have transformed the industrial wireless sensor network landscape", said Mareca Hatler, ON World research director. "With the introduction of ultra low power versions of SmartMesh IP (6LoWPAN) systems and ZigBee products, Dust Networks will expand the growing number of 'Smart World' applications that span Smart Buildings, Cities, Government and Homes." Having had a close relationship (and joint venture) with ARM and an investment by Intel, Imagination Technologies has now teamed up is a strategic alliance with MIPS Technologies, with MIPS joining Imagination’s POWERVR Insider graphics developer ecosystem as a technology partner. Together the companies are working to help SoC developers get to market quickly with optimized solutions combining processor IP from MIPS and graphics, video and other IP from Imagination. This helps cement Imagination's position in supplying 3D graphics IP particularly for set top box designs where MIPS dominates. The first result of this is Sigma Designs’ new 3D media processor for IPTV, cable, and network player markets which incorporates Imagination’s POWERVR SGX 3D graphics IP and a high-performance MIPS32® 24Kf processor. Freescale Semiconductor has introduced a family of programmable digital signal processors (DSPs) that delivers the optimal blend of low cost and high performance for a broad range of applications in the medical, aerospace/defense and test/measurement markets. Based on the industry-leading performance of Freescale’s SC3850 StarCore DSP core, the MSC825x family of scalable DSPs offers more performance and functionality at half the cost of comparable alternative technologies. Freescale’s SC3850 core recently earned the industry’s best-ever fixed-point BDTImark2000 benchmark score from independent signal-processing technology analysis firm Berkeley Design Technology. The new MSC825x family of multicore DSPs brings the performance of the SC3850 core to additional applications that require high performance, reusable hardware platforms and flexible software architectures. Freescale’s MSC825x family consists of four pin-compatible, fully programmable, single-, dual-, four- and six-core DSPs. Integrated features such as multiple DDR controllers, two Serial RapidIO interfaces and a PCI Express interface make designing with the MSC825x devices highly flexible. Pin and peripheral compatibility with Freescale’s MSC815x family enables code and tool reuse and allows customers to scale from a single-core device to multicore devices, or to create multiple products based on the same hardware. The MSC825x family’s processing performance enables additional channels for TETRA base stations, as well as advanced measurement capabilities for wireless communication testers. 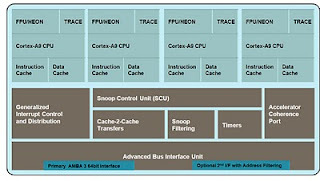 State-of-the-art, high-bandwidth, low-latency peripheral interfaces permit customers to interconnect multiple DSP processors without the need for Layer 2 switching, reducing customers’ system cost. Test/measurement applications enjoy increased throughput and reduced software complexity, and medical applications such as CT scanners gain real-time communication capabilities and more accurate control. At the high end of the family, the MSC8256 device is based on six SC3850 StarCore DSP cores running at 1 GHz on a single die delivering 6 GHz of raw DSP performance, or 48 GMACs (Giga Multiply and Accumulate) per second of DSP core performance. This is a 2X increase in performance in comparison to the nearest competing solution. Comprehensive memory support includes two 64-bit DDR3 running at 800 MHz to enable fast system throughput for multicore DSPs. A rich peripheral set includes 2x Serial RapidIO (4 lane) and PCI Express x4 interfaces, allowing fast communication between FPGA and DSP to DSP. Freescale Sales Up, Debt Extended, Losses Continue.